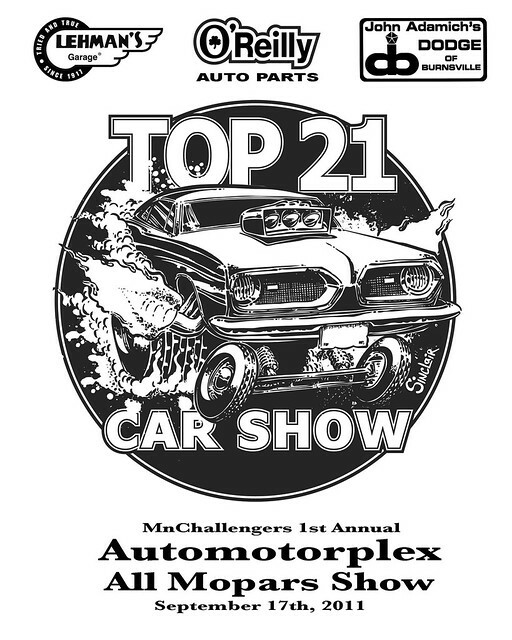 Mopar enthusiasts in the midwest have been asking for a "Big" Mopar show later in the summer. Well now we have it. Bruno, the owner of the Automotorplex in Chanhassen, has agreed to host an ALL MOPAR SHOW at his facility. With space for over 450 cars, let's show Bruno how many Mopar fanatics we have in the midwest. 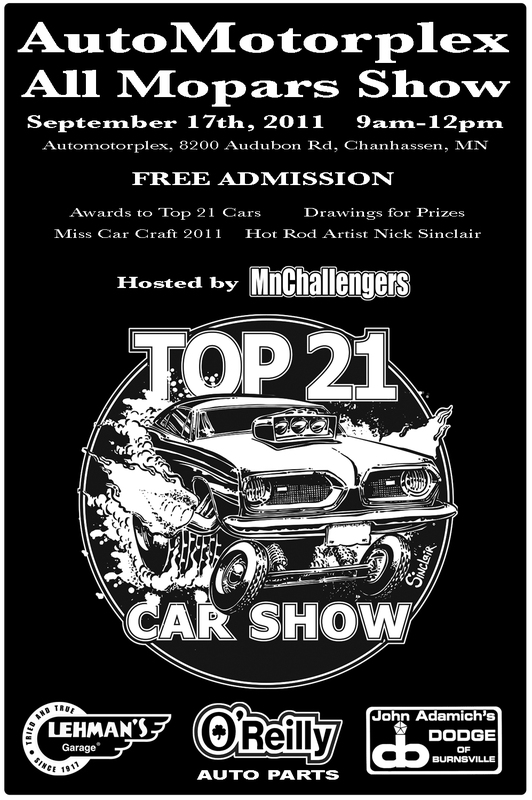 MOPARS WANTED for FREE Car Show in Chanhassen Minnesota on Saturday September 17th. NOTE: Please contact Steven Benson if you would like to be a sponsor for this event. Last edited by MnHotRod; 09-01-2011 at 06:06 AM. UPDATE: This event is now a TOP 21 show with custom 8x10 plaques going to the TOP 21 rides. We have added a pig roast to the mix so there will be some great food on-site. We are giving away dash plaques to the first 125 cars. Miss Car Craft 2011 will be available for photos and sign posters at her booth. 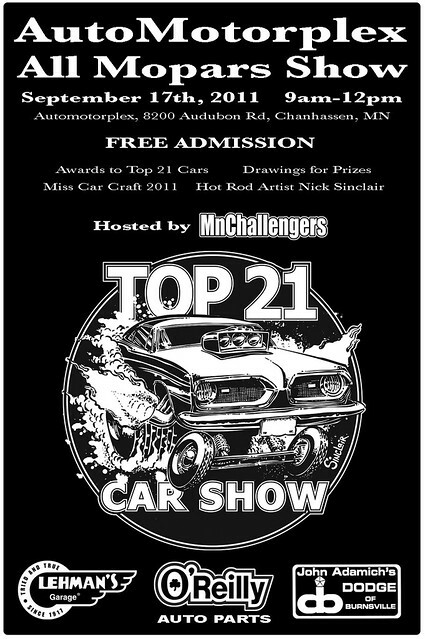 Local hot rod artist Nick Sinclair will also be onsite with art and t-shirts. There will be a prize raffle for participants and spectators. We are less than a week away from the second largest Mopar show within 600 miles of Minneapolis. Look forward to seeing you there.